THURSDAY, Feb. 2, 2017 (HealthDay News) -- A single dose of an experimental Zika vaccine protected mice and monkeys from the virus, researchers report. Following Zika virus outbreaks in Latin America and some parts of the southern United States, scientists have been trying to develop a vaccine against the virus. Several vaccines have been tested in animals, but this is the first one to show strong and long-lasting protection without the use of a live virus, the researchers said. However, animal research does not always pan out in humans. Traditional vaccines contain a weakened or killed version of the target virus or isolated viral proteins. This vaccine uses tiny strands of RNA that contain the genetic codes for making viral proteins, according to the study authors. One injection of the vaccine triggered a rapid immune response in mice and protected them from intravenous exposure to Zika two weeks later. That protection remained when the mice were exposed to the Zika virus five months after vaccination. 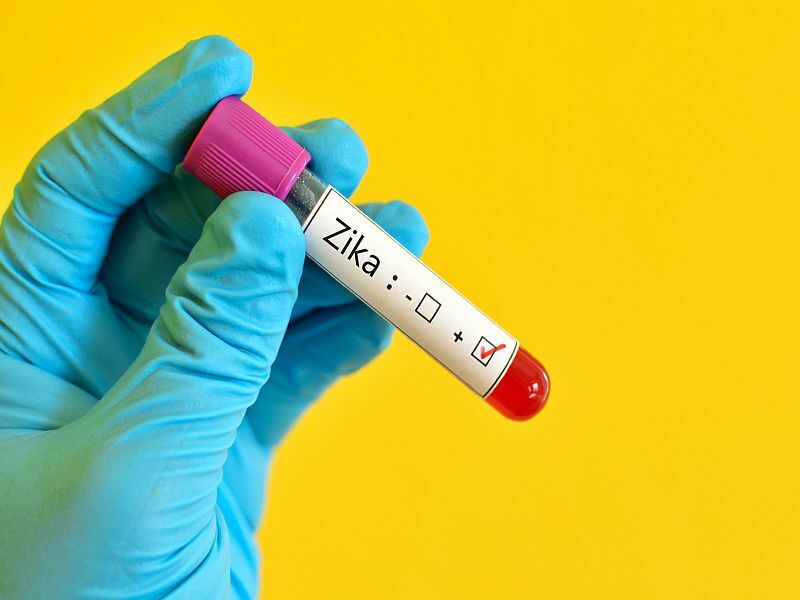 The researchers also found that one injection of the vaccine in macaque monkeys provided strong protection against the Zika virus five weeks later. The findings were published Feb. 1 in the journal Nature. "We observed rapid and durable protective immunity without adverse events, and so we think this candidate vaccine represents a promising strategy for the global fight against Zika virus," said senior study author Dr. Drew Weissman, a professor of infectious disease at the University of Pennsylvania. "We hope to start clinical trials in 12 to 18 months," he said in a university news release. "Our work so far suggests that this new vaccine strategy induces a level of virus neutralization about 25 times greater, after a single dose, than one sees in standard vaccines," Weissman said. "If a vaccine is effective after just a single immunization, the infrastructure needed for its administration can be much simpler," he explained. Scientists have been scrambling to find a Zika vaccine ever since an outbreak began in April 2015 in Brazil. Thousands of babies in that country have been born with severe birth defects after their mothers were infected during pregnancy. The most common defect seen has been microcephaly, where the head and brain are abnormally small. But other birth defects have also been spotted with increasing frequency, including ones that damage vision, hearing and the nervous system. In the United States, 1,394 pregnant women have been diagnosed with Zika infection as of Jan. 24, according to the U.S. Centers for Disease Control and Prevention. Of those pregnancies, 38 infants have been born with Zika-related birth defects, and five Zika-related pregnancy losses have been reported, the CDC said.